A. R. "Rusty" Miller, III is the partner and manager of ARM Farms, Ltd., and is sole member of ARM Nuts, LLC which is the general partner of ARM Farms Ltd., an agricultural producer of pecans and cotton in El Paso County, Texas. He is a member of the Board of Directors and the Endowment Board for Lee and Beulah Moor Children's Home. 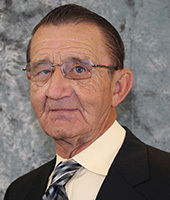 Mr. Miller has been a director of WestStar since 1991.